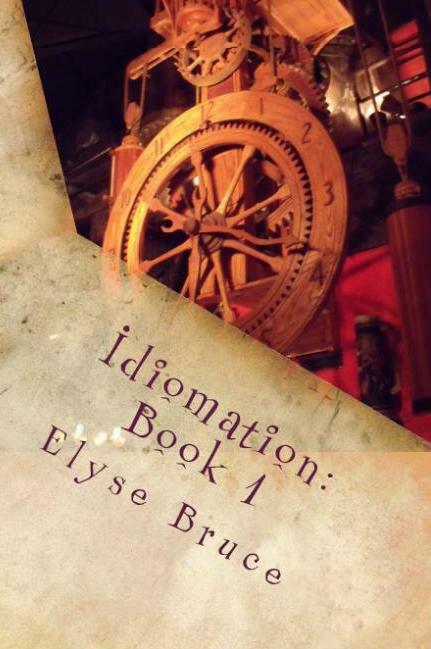 The author and owner of the “Idiomation: Historically Speaking” blog is also a professional author, artist, and musician with an impressive catalogue of published works. You can find most of her books on Amazon, or you can visit the book section on the Elyse Bruce website writing as Elyse Bruce and writing as E.B. Taylor as well as the book section on the Missy Barrett website. Below is a partial list of titles with a quick insight into each book’s story line. Elyse Bruce digs deep into the history of 75 sayings, expression, clichés and idioms we hear in day-to-day conversations, and shares what they mean, where they came from, and who was the first one to say it. 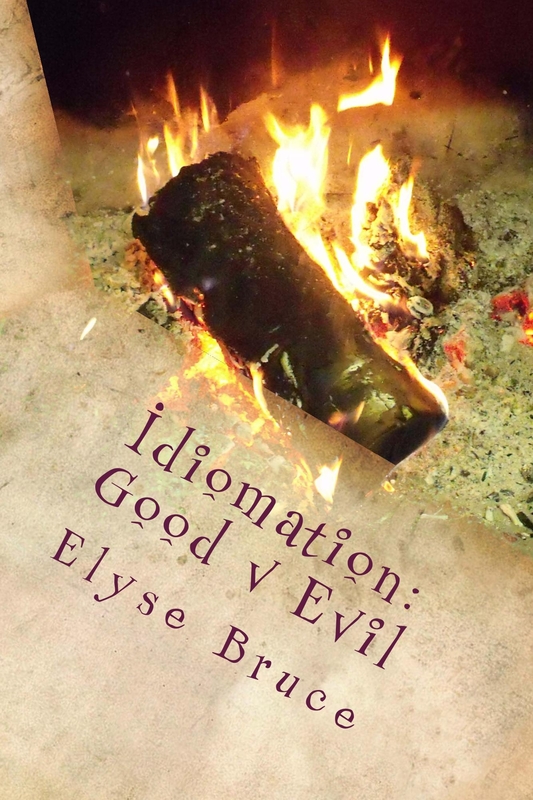 Available in traditional book form as well as in eBook format, this is the first in the series by the author of the Idiomation blog on WordPress. Elyse Bruce digs deep into the history of 75 more sayings, expression, clichés and idioms we hear in day-to-day conversations, and shares what they mean, where they came from, and who was the first one to say it. This edition takes on good versus evil, and is chock full of great information and facts. Available in traditional book form as well as in eBook format, this is the second book in the series by the author of the Idiomation blog on WordPress. When autistic advocacy meets up with narcissism and a criminal mindset, it’s up to Aidan Beresford-Smith to sift through hearsay and documentation. Untangling the secrets of Rion McNeally’s mind proves to be a challenge as fact and fiction are blurred into a muddle of half-truths and outright lies. As the final chapter plays out, even the man at the center of the controversy has no idea who has the winning hand. Nine carefully crafted short stories deal with nine issues, challenging readers to go head-to-head with our technologically interconnected and intertwined real and virtual lives. As the digital world continues to collide with reality, the question is one of survival, not advancement. This collection of cautionary tales for modern times gives readers a glimpse into the future — a future that is speeding towards us at a blistering gallop. Are we ready to push back? It’s not every day that Missy Barrett gets to go with her mom on a business trip. When her mom takes her to Toronto for a meeting with the man upstairs, Missy makes the most of this once-in-a-lifetime adventure. Along the way, she meets up with Mr. Wonderful, the Titanium Knight of the Periodic Table, the Ballerina Princess, and other inhabitants that exist in this exciting world. What other mysteries await them all in this amazing building? And how many other characters might be found by the ever curious Missy Barrett? It’s not every day Missy Barrett gets to spend summer vacation in Tennessee. When her aunt and uncle invite her to visit her cousins in Sevierville, Missy jumps at the chance to find herself at the heart of new adventures. What she doesn’t know is what those adventures are going to be. When the installation man comes to put up a satellite dish at the house, she can’t begin to imagine all the things he knows. Where did the Internet come from? Who won the first race in outer space? Do scientists know what’s out there? And is her family aware of all these facts? Missy wouldn’t dream of passing up a chance to visit her grandparents. Trips to visit them are always fun, but they’re more fun when Grandma’s making Nôhkom’s Artisan bread and chocolate chip cookies. But baking isn’t just about making bread and cookies. It’s about sharing and making memories, as well as discussing important matters. The discussion weaves its way through the meals made in Fat Daddy’s Kitchen in Chicago and how Missy’s Grandma and Grandpa first met. Then Missy shares a secret with her Grandma. Missy knows what Grandma’s secret ingredient is. Do you know what it is? For the first time in her life, Missy visits a professional hair salon with her mother. Once she walks through the front door, the possibilities become endless as do the questions she has for the stylists working there. Just as with every situation Missy finds herself in, when Missy has questions, she’s on the trail to uncover the right answers. In the end, you won’t believe who gets foiled again! Finding fun things to do is easy for a kid like Missy Barrett. The hard part is finding fun things that her Uncle Bob, Aunt Sissy, and three cousins can do with her. When her Uncle Bob’s friend, Steve, drops by to visit, Missy learns all kinds of interesting things about the Great Smoky Mountains National Park. It isn’t long before Missy has an idea what everyone she loves can do as a family. Missy Barrett convinces her mom and grandma that a Girls’ Day At The Spa is just what they need. The trio decide that some old-school pampering is in the cards, and Cassie’s place is the place to be. Questions about sugar scrubs, famous outlaw Jesse James, and more shows Missy just how much fun Cassie, Mackie and the Shear Madness Salon gang can really be! The love of black-and-white movies, an interest in Amelia Earhart, and a taste for adventure take Missy somewhere she never expected to find herself. After all, it’s not every day you get to fly in a 1927 Waco Straight wing biplane with an expert pilot. With help from her grandfather and Marc Hightower, Missy Barrett becomes a real live, modern day barnstormer! You can always expect a spirited discussion when you visit a classic car show, but it’s not often that one of the most excited classic car fans happens to be a 7-year-old child. But then again, Missy Barrett isn’t just any child. She’s Missy Barrett, and she’s on a mission to find out as much about her favorite cars as any child can possibly learn. Missy Barrett thinks American history and North American Indian history go together like peanut butter and jam. That is, until one of her classmates breaks the news to her that her Grandpa can’t be an Indian anymore because he lives in a house just like everyone else. But Missy isn’t about to let someone strip her Grandpa of his heritage if she can help it. If there’s a way to keep her Grandpa from losing his identity, she’s going to find it, and she knows just who to enlist to help her find that solution! Whether your ancestors are First Nations peoples or settlers, Missy’s approach to resolving the conundrum her classmate has tossed her way gets the job done. Being a kid is a lot of fun with mysteries and adventures everywhere. When three girls in Missy Barrett’s class decide to bully Missy, she doesn’t let them get away with it. She decides the best way to deal with bullies is to have a plan so she turns to her older cousin Alana for advice. Will the girls find a good solution to Missy’s problem? This book has a number of Chicago references including the Lincoln Park Zoo and Vienna beef Chicago style hotdogs. Missy Barrett loves her brothers, Aaron and Josh. She loves them both so much that there isn’t anything she wouldn’t do for them. Josh has a rare health condition called Myasthenia Gravis, and Missy thinks it’s about time she asked Josh some important questions about what that is. After all, brothers and sisters are supposed to help each other out, and knowing what to do when Josh needs help matters.